The window in front of all other open windows, on a graphical user interface. For example, the Internet browser window you are using to read this web page is considered the active program or active window. In the below example, is another example of an active window. 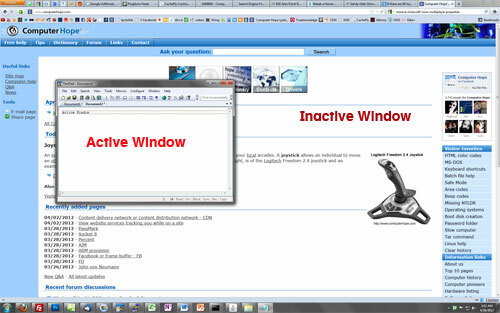 In this example, the active window is the text document window open above the browser window.